Someone asked me the other day, "Is there a way to 'repair' a bad bottle of wine?" Wouldn't it be awesome if there was a way to 'fix' wine? 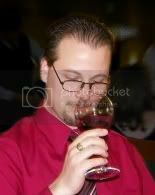 I've heard that decanting supposedly 'blows off' some of the alcohol, and aging is known to reduce tannins, but is it possible to add a little Riesling or Chard to a 'bad wine' to help neutralize that vinegar taste? I'm pretty sure if you buy a bottle of wine and it's corked, you're screwed! The only way to repair the situation is to cut your losses and open another bottle. If you drink it fast enough, you may even forget about the corked bottle of wine! 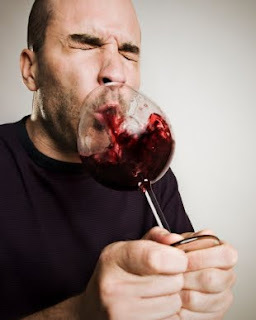 Someone did once tell me a secret to removing sulfur from wine... but I think I drank too much that night and forgot it... anyone know this trick? What other tricks to 'repairing' wine are there out there? Do they REALLY work? Drop a penney into your glass. For the sulfur? Have you tried it? For TCA-tainted wines (corked ones), I've heard that polyvinylidene chloride (or PVDC) helps to remove the TCA from the wine. A good source of PVDC? Saran Wrap. Toss a ball of it into the glass, let it sit for a couple of minutes. Note: I've never done this -- the only seriously corked wine I've encountered since learning this was some by-the-glass at a restaurant, which they simply replaced with a fresh glass. Not personally, but I know a winemaker here that does it at times and it seems to work. I'll have to try both of those out for myself! Anyone got a good corked bottle of wine? I never thought I'd hear myself ask that question! Some wine stores will take back your corked wines. So you should keep your receipts, and also ask your local wine store if they have a policy on corked wines. I've tried the Saran Wrap trick. Even after many hours, it removes just *this* (holds fingers really close together) much taint. If a wine is barely corked, it might become barely drinkable. But if it's noticeable, no trick is going to bring the dead back to life. That's a good point! Always buy your wine (especially if it's expensive) from a store that will stand behind the bottle is it's corked! Thank you Dale! That's what I figured and was afraid of... repairing a bad bottle of wine seems distant! I agree,if it is corked, bring it back to the store. I have not yet encountered a corked wine, and I don't think I would try any tricks to "uncork" it. Most reputable wine sellers will refund you. LOL! You're probably right! I could just see myself wadding up siran wrap and putting it in my wine... that would be hilarious! I'll stick with just bringing it back to the store... has anyone had to do this? I have returned corked wine to the store. They were fine about it, and exchanged it for another bottle of the same wine that they had in stock (and was without cork-taint). That's really cool to hear! Has anyone ever had a bad experience where the store wouldn't take back the wine?